It was my first day with good intentions for this new thing. A day set aside for holy listening. The kids were dropped off and I came straight back to the house. Found my prayer closet. Knelt down. Some days are easier – to see the touch of God. To feel Him. Other days, it’s like scratching and crawling to the door of heaven. We make this thing so hard. This talking to the Father. Our thoughts, our doubts, our fears seem to always be near, ready to pounce. I came to the living room and read scripture, my eyes tired. A sadness and weariness came over me. Next thing I knew hours had passed under the covers in bed. And I whispered, “What would you say to me, God?” A deep sigh and shower later, I head out the door. House a mess, beds undone. Sink spilling over. Because maybe I can find God at the local Sonic. I’m driving for two minutes when the song hits my mind. Rolling over and over till it sinks deep down enough to be personal. With me, through me, for me. Able, Lord. No. Willing? Maybe. Because I want to throw the easy “yes” down flat at the cross, but I know myself. My best intentions are killing me. My own strength is not enough. Sometimes even my knowledge just gets in the way. It’s a Pharisee lifestyle. The doing, the reaching. I just want you, God. I just want to hear from you. Are ye able, my mind wanders back ….to be crucified. He’s doing a work even here, when I think I’m stretching for Him. When we think we are grasping for some kind of touch of God in our personal places – the space of our mind, our daily task – there He is. I remember a moment in time, as I pull into the Sonic. Eighth grade, library day. I was all kind of sold out for the God I was falling in love with. I just knew He was coming back soon. Really soon. Just knew I would never get a driver’s license. That was okay – I wanted to see Him. I said it to a friend sitting across from me. That Jesus was coming back soon. Seriously. Calm down. Don’t get too passionate about Him. Too broken for the lost. Too dramatic about this whole thing. To be teased for your passion. To be hated, like they hated me. To be talked about. To be….disliked. Because those dramatics you’ve been teased for, that sensitivity to the Spirit, the passion for the Word, it’s what you will need for this. The crucified life. Will you really look a fool for me? I ordered my lunch and reached back for something to scratch thoughts down on. I move over my husband’s old King James and find a magazine on the floor, covered in pink candy dust. Who makes these bottle suckers attached to a bottle FULL of powder candy dust? Surely these people do not have children. I come home, grab the half-eaten Hershey bar in the fridge – a girl’s salvation….and sink into the recliner. I open the Good Book to the Psalms. Because sometimes you just let David pray for you. The Spirit uttering, agreeing with the ancient words. I open it to chapter 130. As if any chapter wouldn’t be all kinds of goodness. But this – this is His encouragement to my closet time. The reminder. We want to rush His Word, His saving, His working all things out. The message is to wait on Him. We want more in our lives. More influence, more answered prayer. But will we wait for Him more than others? Oh, to trust, to rest, to live in the waiting for a Holy God. We all – all of us – have lived in the waiting. And I see that in the midst of my self-awareness, my doubts – my mess of a mind – God was doing the very thing I was seeking. Showing Himself. Bringing me closer to the cross, to the resurrection found only there. 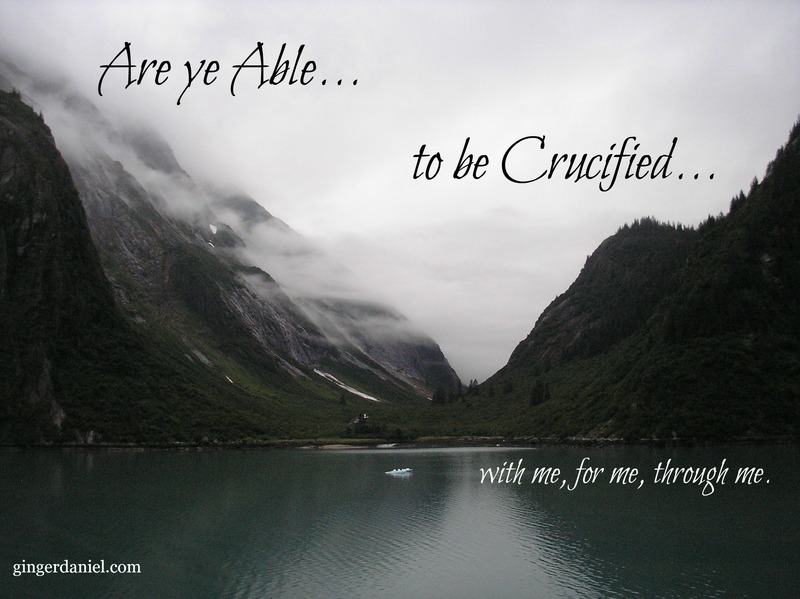 Are ye able? Can you wait with me at Gethsemane? Will you tarry in your closet when you hear me not? I will be there. Will you give up so soon? Pictures are by me, worked up with words through Pic Monkey. Tapping out my faith here; click the FOLLOW button in the right-hand column to receive my posts via email. Blessings! And stop by my Prayer Closet – the living room of my heart – a work in progress. 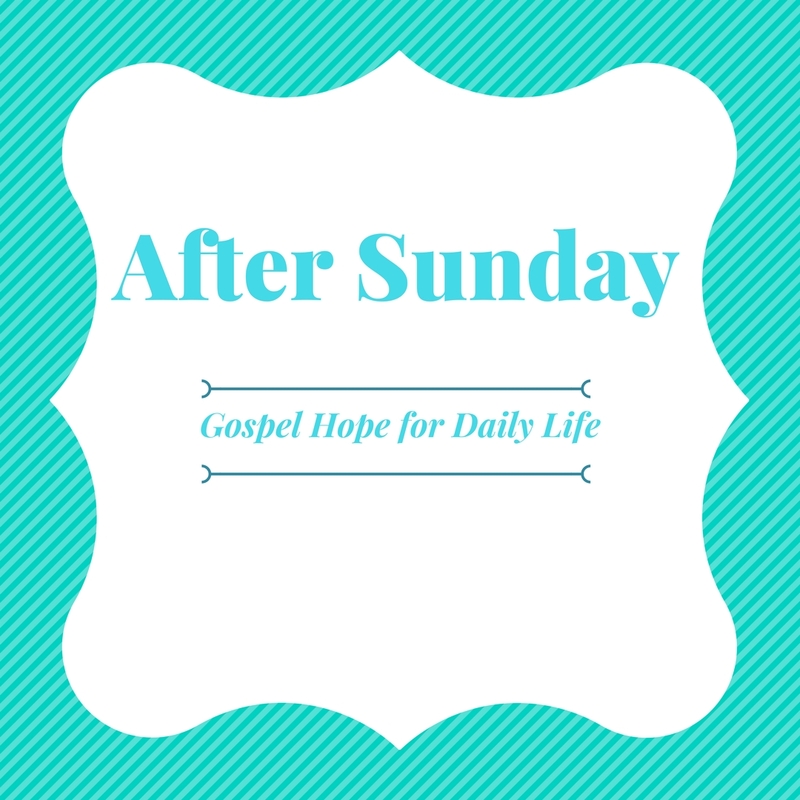 Linking up with Holly @ Testimony Tuesday, Beth @ ThreeWordWednesday , Meredith @ Woman2Woman , and Jennifer @ Tell His Story Blessings! Thanks for doing so, Katie! Thank you, Jamie. So glad you stopped by, too. Blessings to you!